The I’m Not Laughing campaign, which aims to put a stop to disability hate crime across Bolton by raising awareness of it and the impact it has upon victims, was launched on Saturday. Guests packed out the Bar in Nelson Square to hear speeches from Stephen Brookes MBE, Superintendent Paul Rumney and 19-year-old Bolton resident Dale Kellett, who appeared in the campaign posters located in the town centre. The Mayor of Bolton Councillor Noel Spencer MBE presented official accreditations to licensees that had completed the training earlier in the week. Officers gave licensees inputs on their legal and moral obligations under the 2010 Equality Act regarding disability hate crime. Accredited premises can now be recognised by window stickers and staff badges. The launch coincided with National Learning Disability Week (20 – 26 June) and the implementation of Mencap’s ‘Stand By Me’ campaign, which aims to challenge the police, courts and criminal justice system to end disability hate crime. Sgt Paul Ellis started the campaign after receiving a letter from a young woman who had suffered verbal abuse over a physical disability during a night out in the town centre with her partner. He said: “The launch night was a huge success – the Bar was packed out and those who attended heard some very poignant speeches from those affected by disability hate crime. 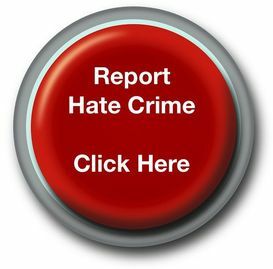 “The campaign aims to put the issue in clear and simple terms, disability hate crime is unacceptable, no one deserves to be subjected to it and nobody deserves to get away with it. Since the beginning of June, billboard posters have been displayed in prominent locations and leaflets telling the stories of victims have been given out across the town to raise awareness. A facebook site, which has been set up at www.facebook.com/Imnotlaughing already has over 350 likes.